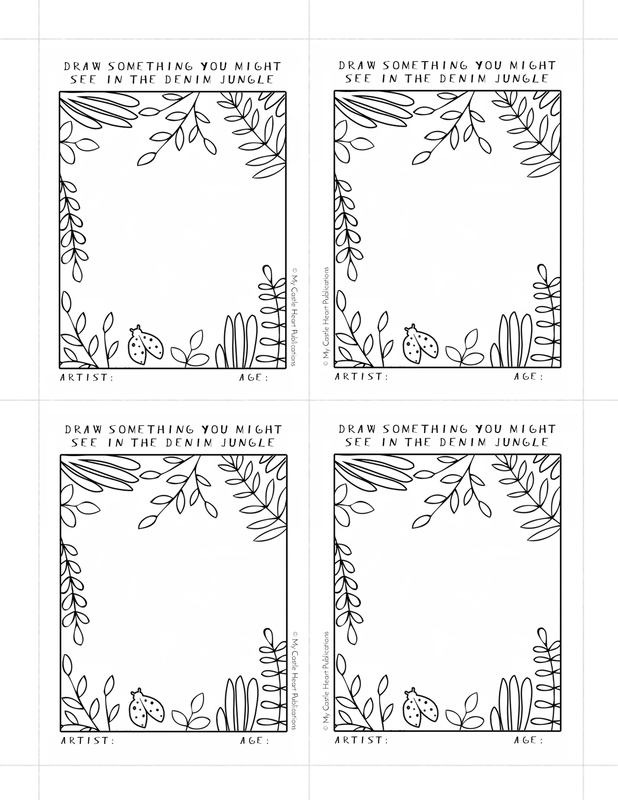 Color these Postcards from The Denim Jungle and add something you might see down in Leo’s world. Send to a friend or glue into the back of your book to remember tales of your imaginative adventures! Adults: Print images on both sides of a piece of cardstock and follow the guidelines on the leaf side to cut them to size. 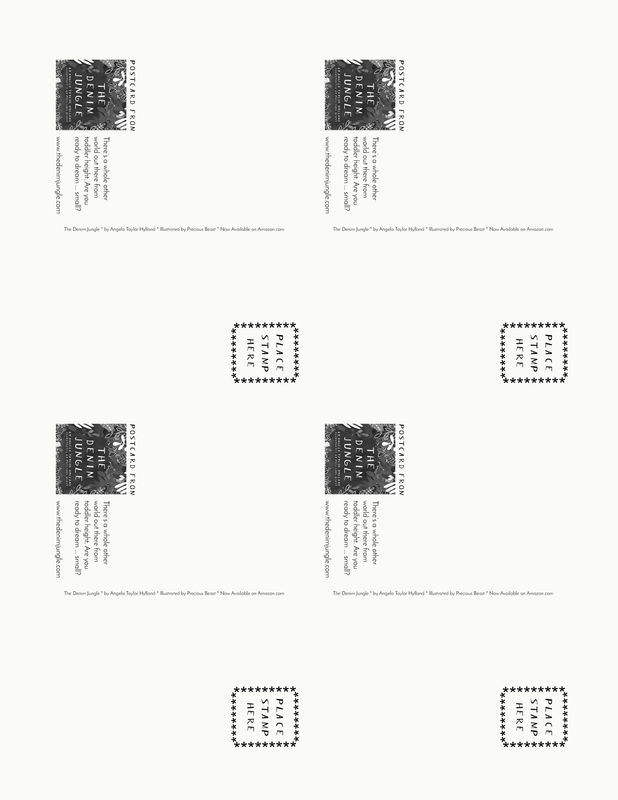 Make sure you add a postcard stamp on the back, if you want to send them.